Officers have released new CCTV pictures of a man they are still trying to trace when a woman’s face was slashed on a Piccadilly Line escalator in Holborn station. The 34-year-old woman was attacked at 10:45pm on 19 November. She suffered a deep cut to the bridge of her nose and needed surgery to repair the damage. Officers believe that the man travelled on the Central line, back and forward, stopping at different stations all the way out to Epping before the attack. A man in his 30s appeared to be on fire outside Holborn tube station last night. London Ambulance Service says it was called just after 6:30pm. An eyewitness claims to have smelt burning while people were trying to extinguish the flames. How did that guy catch on fire on Kingsway! Think a guy from Ladbrokes put him out. London Ambulance Service says the man was still conscious and breathing, and taken to University College Hospital. 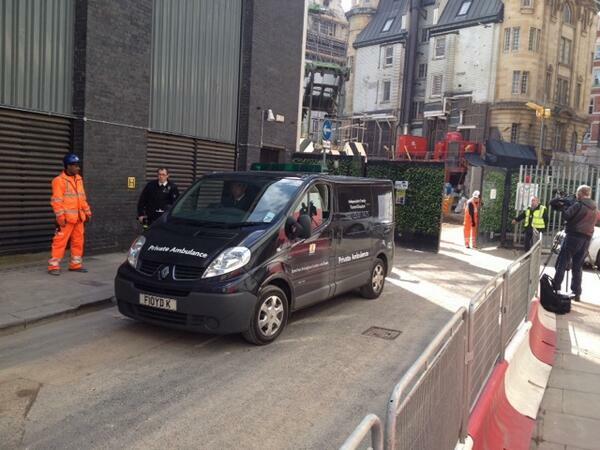 Crossrail bosses have halted all tunnelling involving sprayed concrete following the death of a construction worker. An accident in which a Tube traveller was dragged along a platform after her scarf caught in a train door is being officially investigated. The woman, whose scarf was wrenched off by the train, suffered back and head injuries in the incident at Holborn Underground station in central London. Arriving at Holborn she had moved towards a Piccadilly line train but stopped as she realised the doors were closing. The Rail Accident Investigation Branch (RAIB), which is looking into the incident, said: "As she stopped, the end of the scarf that she was wearing continued to swing towards the train and became trapped between the closing doors. "The train operator was unaware that the scarf was trapped in the door and after confirming that all doors were closed, started to move the train into the tunnel. "The passenger was dragged along the platform as the train started to move. The station assistant tried to help the passenger by holding on to her and they both fell to the ground. This resulted in the scarf being forcibly removed from the passenger's neck and carried into the tunnel by the train." The RAIB went on: "The passenger suffered injuries to her neck and back and was taken to hospital; she is now recovering." The worker was spraying concrete onto the excavated ground when a piece of concrete from the ceiling of the tunnel fell and hit him. 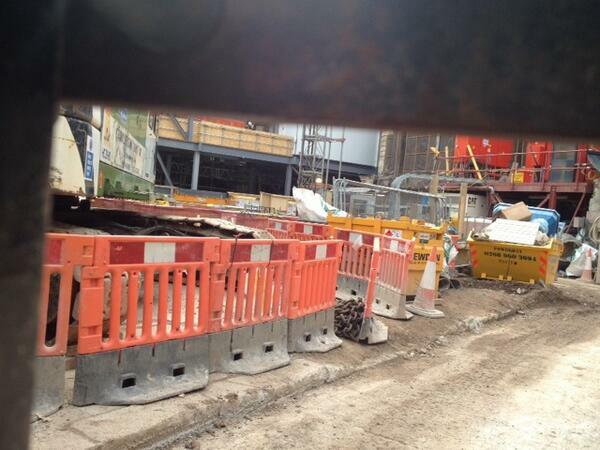 Crossrail has suspended all work at Fisher Street and associated works across the project. Safety is our number one priority and Crossrail sets the most stringent safety requirements in the industry. A spokesperson for Crossrail has told ITV London that the worker who has died was spraying concrete when a piece of concrete from the ceiling fell and hit him.